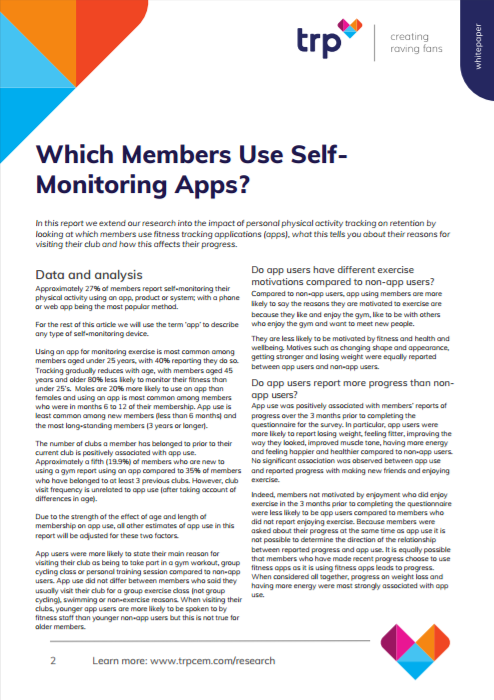 Which Members Use Self-Monitoring Apps? What motivates app using members? What do they report progress on, and how does this compare to what they are motivated by? What is the impact of app use on membership retention?